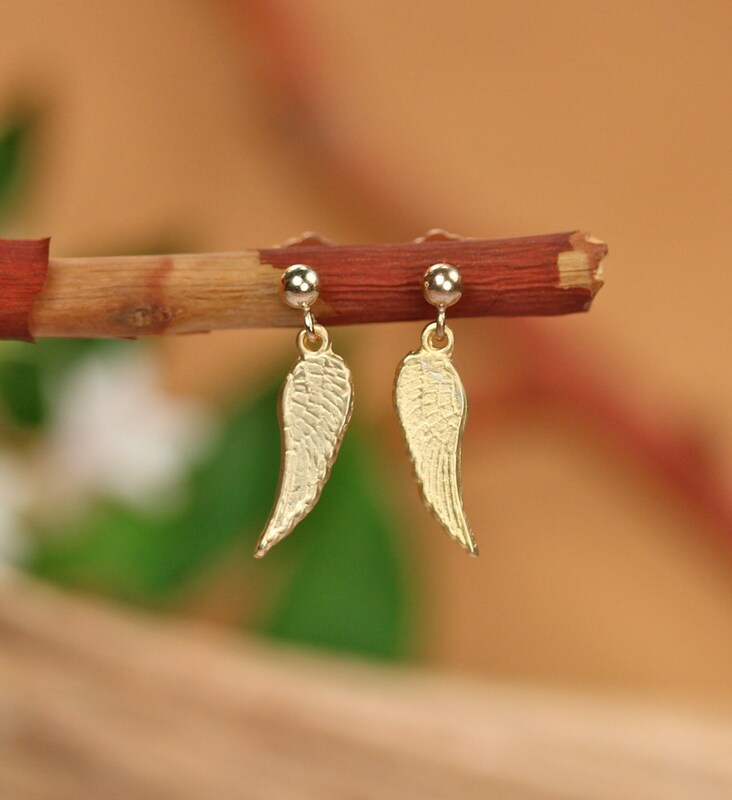 A super cute set of gold vermeil wing charms hanging from 14k gold filled studs with butterfly backings! 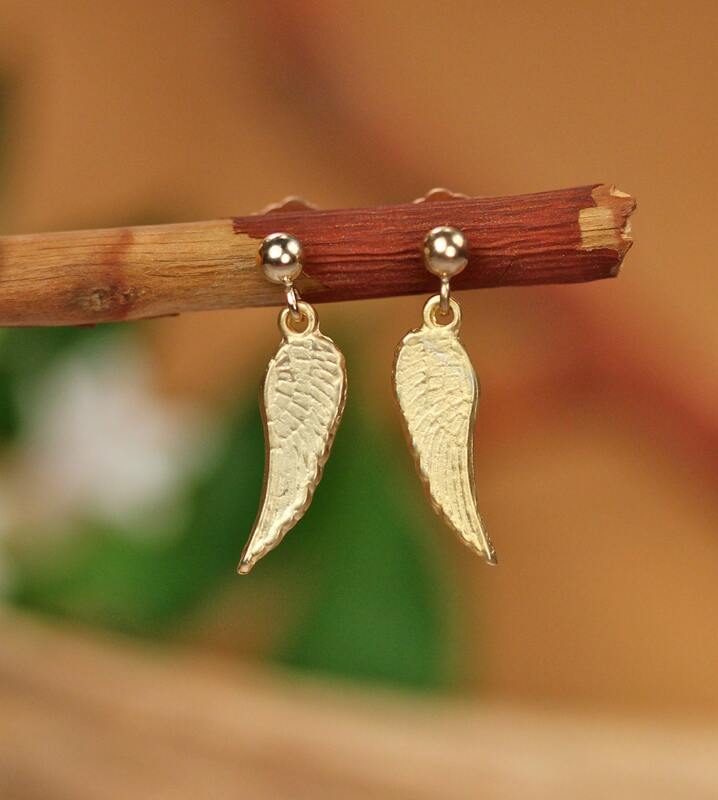 These wings measure 14mm long x 5mm across. 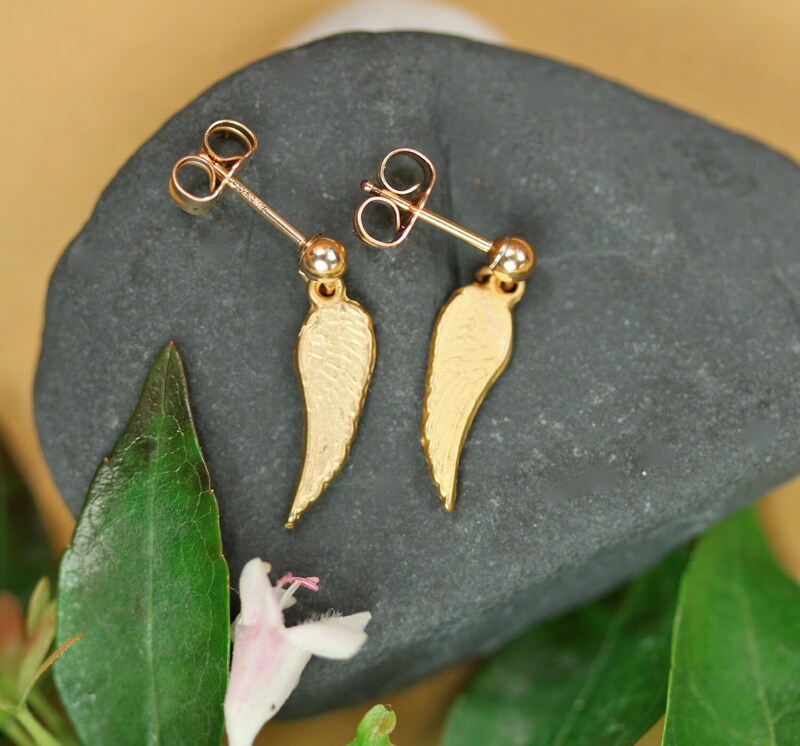 The ball on the front of the stud earring measures 3mm. 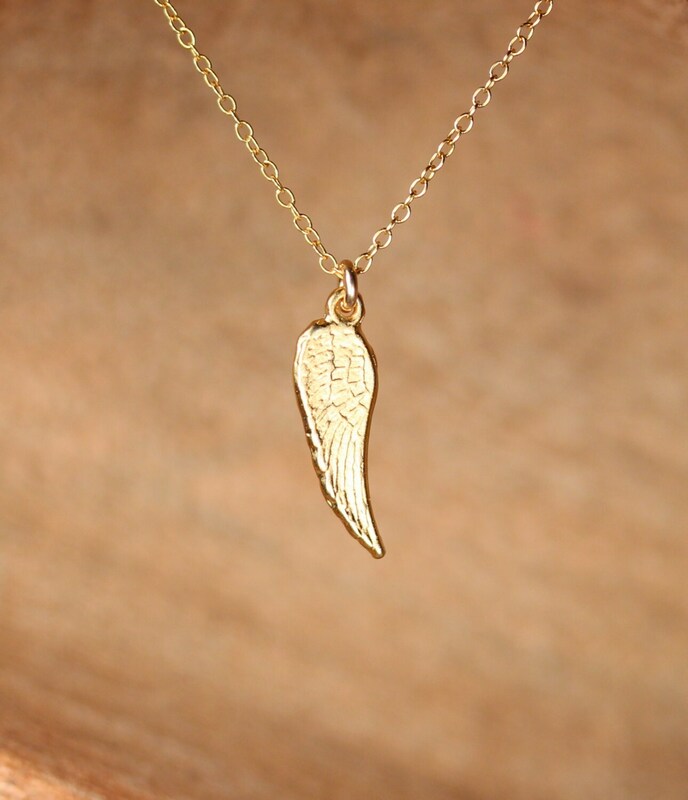 ♥ Need a matching necklace?